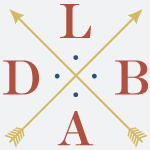 LDBA will take your kids on a New York City Arts and Parks exploration! Activities and field trips include: Daily art classes with emphasis on the fine arts, including watercolor, painting, drawing, collage and sculpture. We will travel to The Whitney and Metropolitan Museum of Art, other possibilities include MOMA, (MOMA art lab), Explore History and SPACE at the Natural History Museum and Planetarium. We will visit The Highline Gardens and then learn how to dye textiles, and many other hands on art projects! Price includes all Metro rides, Museum admissions, snacks, and water, as well as art supplies and camp T-shirt. Students bring their own lunch, sunscreen and a change of clothes. Waiver, information form and details provided upon registration. Please register soon for the limited number of spots available!